HARTFORD, CONN. — There will be a public hearing on Monday, March 6, at 10:30 am before Connecticut’s Environment Committee on HB 6335: “An Act Prohibiting the Sale and Trade of Ivory and Rhinoceros Horn in Connecticut.” It is co-sponsored by Rep. Diana Urban of Stonington and Rep. Josh Elliott of Hamden. Described as an act “to prohibit the sale and trade of ivory and rhinoceros horn in the state,” HB 6335 does include an exemption for antiques and musical instruments, although some members of the state‘s antiques trade view it as insufficient and potentially harmful to the trade in numerous genuine antiques. (f) The owner or seller provides historical documentation or a sworn affidavit executed by an expert demonstrating provenance that verifies that the antique is not less than 100 years old. “We find that two aspects of HB6335 are contrary to the preservation, study and understanding of genuine antiques and art,” said Arthur S. Liverant and Kevin J. Tulimieri of Nathan Liverant and Son, an antiques business based in Colchester, Conn. “The inclusion of elephant, walrus, whale and narwhal, in combination with (c) the total volume of 20 percent or less requirement, would result in a total ban on all genuine antique scrimshaw and ivory carving. An article published last year by James Russell, chief executive officer of the New Bedford Whaling Museum explained the negative impact such a bill would create. 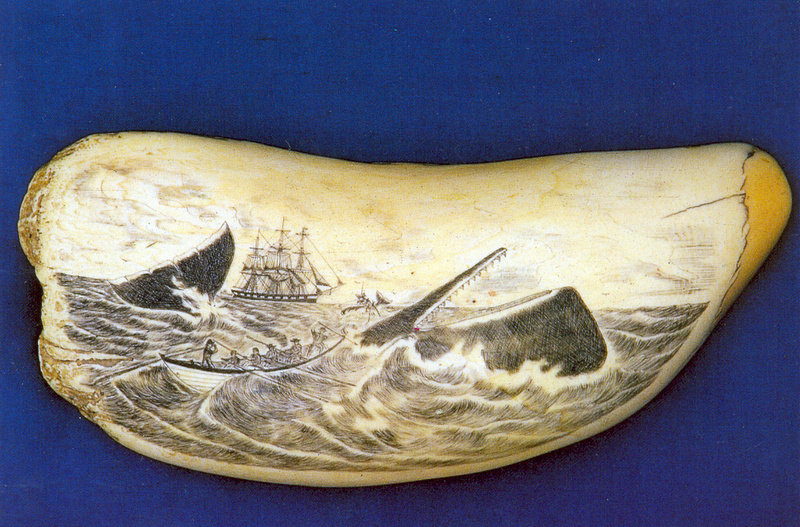 “With New London’s history as one of the most important whaling centers of the Nineteenth Century, it is imperative that we express the harm HB6335 would have on Connecticut’s historic artifacts and cultural heritage. The hearing will be conducted at the Legislative Office Building, 300 Capitol Avenue. Signup to speak to the committee will begin at 8:30 in the lobby. Those in the antiques trade, collectors and museum officials are urged to attend in person, or if unable to attend, submit written testimony to the Environmental Committee through the link on the HB 6335 web page —www.cga.ct.gov/asp/CGABillStatus/CGAbillstatus.asp?which_year=2017&selBillType=Bill&bill_num=HB6335. Emails in opposition to the bill can also be submitted to committee co-chairs at the following addresses: Mike.Demicco@cga.ct.gov; Craig.Miner@cga.ct.gov; www.senatedems.ct.gov/Kennedy-contact, as well as to the bill’s co-sponsor Josh.Elliott@cga.ct.gov.